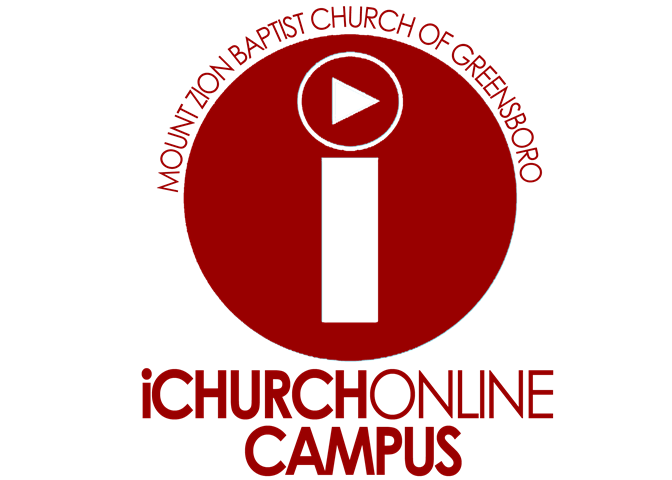 The iChurch Online Campus is a campus which is part of (Mount Zion Baptist Church of Greensboro). Developed to help us accomplish our mission to “Reconcile the world to God through Jesus Christ”. The iChurch Online Campus allows us to reach numerous people around the world with the Gospel. This global community learns, laughs, and grows together. Each week, we live chat about what’s going on in our lives, listen to high-energy worship music, and learn more about God’s purpose for our lives. Everyone is welcome. For some people, going to church for the first time can be stressful. We want to ease that transition by allowing people to experience Mount Zion first so they know what to expect when they attend our physical location at a later date. Regular attenders of Mount Zion are able to use the iChurch Online Campus if they are out of town, sick, or otherwise not able to physically attend church on any given weekend. There are people who live in places that do not have a Bible-believing church to attend. Until that time comes, the iChurch Online Campus will give them the opportunity to connect to the church community at Mount Zion and feel a part of the full worship experience at Mount Zion. When regular attenders of Mount Zion relocate the iChurch Online Campus gives them the ability to stay connected to Mount Zion until they find a church to attend in their new community.